Strong CPU, weak cooling. 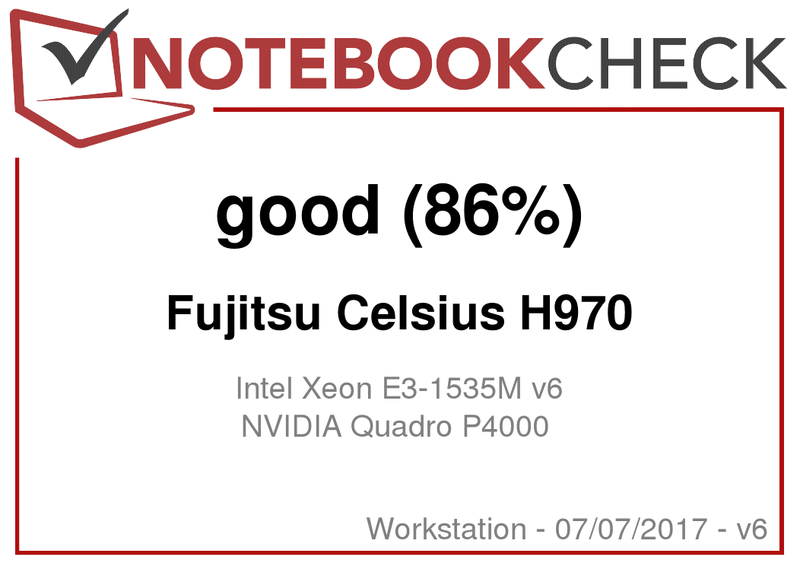 The Celsius H970 might be Fujitsu's last 17.3-inch workstation. This should be reason enough for the manufacturer to do its best. But unfortunately, Fujitsu failed in two places. You can read in our detailed test review, where these places are. 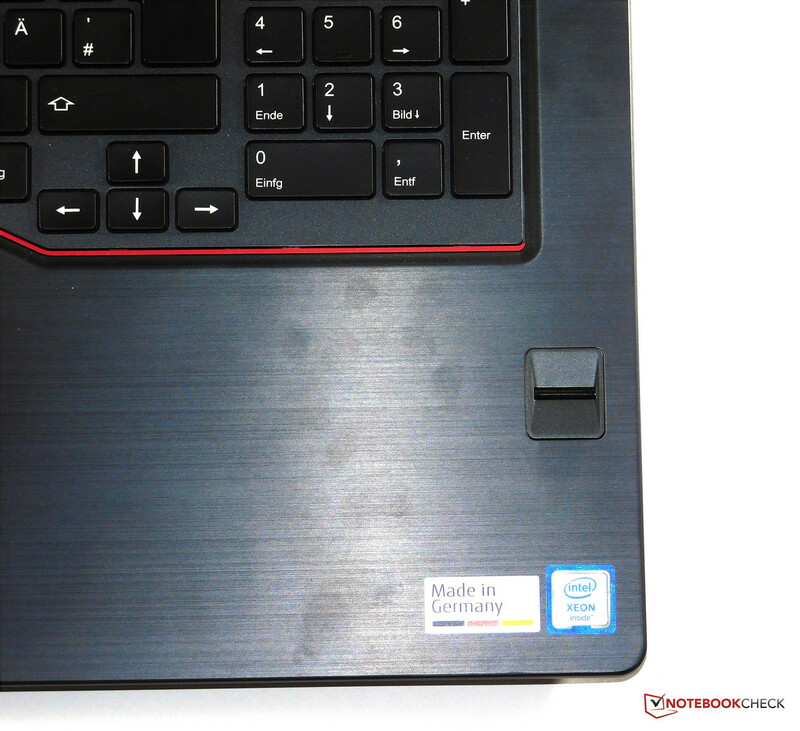 A PC "made in Germany" – there really is such a thing. At least the sticker on our current test unit says that it was made in Germany. Fujitsu is a Japanese manufacturer with a long history. It is strongly represented in Germany because Fujitsu went into a strategic partnership, a so-called joint venture, with Siemens. Until 2009, it was known in the market as Fujitsu-Siemens, or FSC in short. Fujitsu's history as an independent PC manufacturer will probably end this year, since they have been talking for months with Lenovo about a takeover. In view of this fact, our current test device is something special. 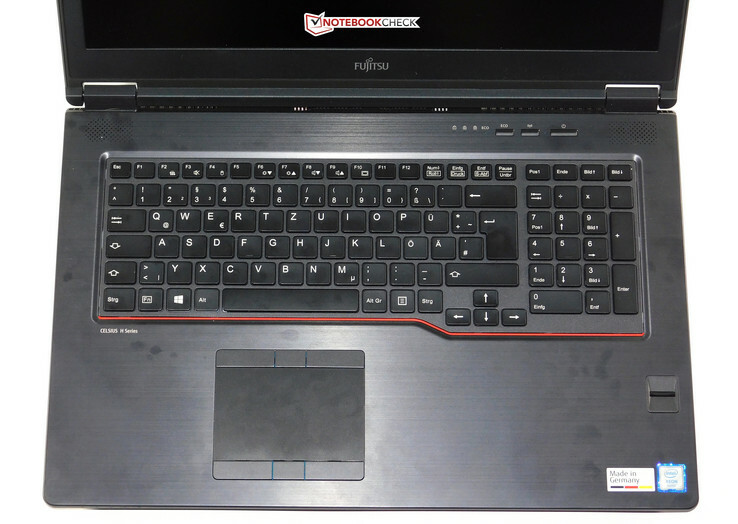 It might be the last 17-inch workstation that Fujitsu still independently developed and distributes. 17-inch workstations are a small but lucrative market segment that is mainly served by Dell, HP, and Lenovo, but where Fujitsu would also like to play a role. The main competitors of our workstation, which costs 4500 Euros (~$5248), are the Lenovo ThinkPad P71, HP ZBook 17 G4, and Dell Precision 7720. Other than the ThinkPad which is currently being tested, we have not been able to test the competitors and will therefore use last year's models for our comparison. Besides those devices, we will also include the Schenker W706 and the MSI WE72 7RJ in the comparison. Those are mobile workstations that really originate from the gaming segment. 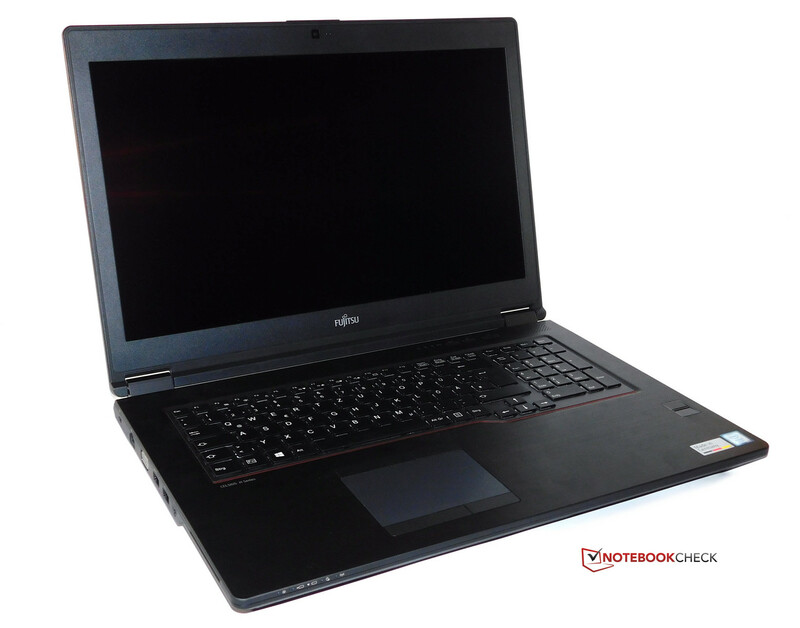 For the 2017 business notebooks, Fujitsu created a design that is shared in all their various models, from the Lifebook ultra-books such as the U747 and convertibles such as the P727, up to our test unit, a Celsius workstation. 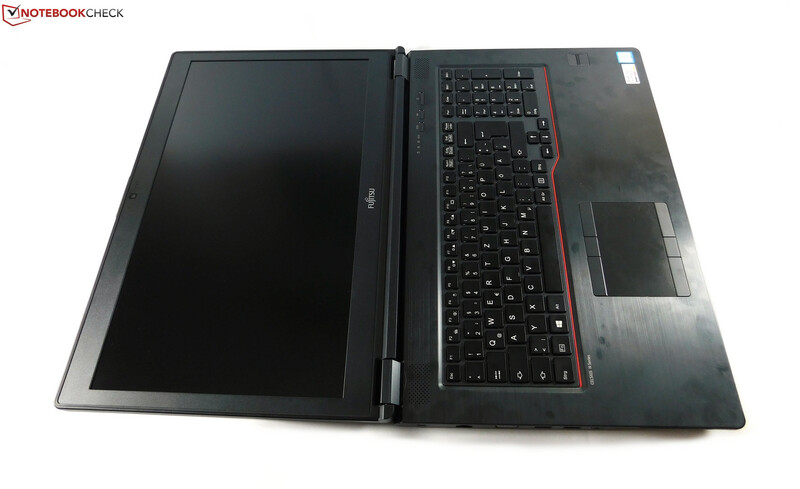 The H970 looks like a giant Lifebook U757. 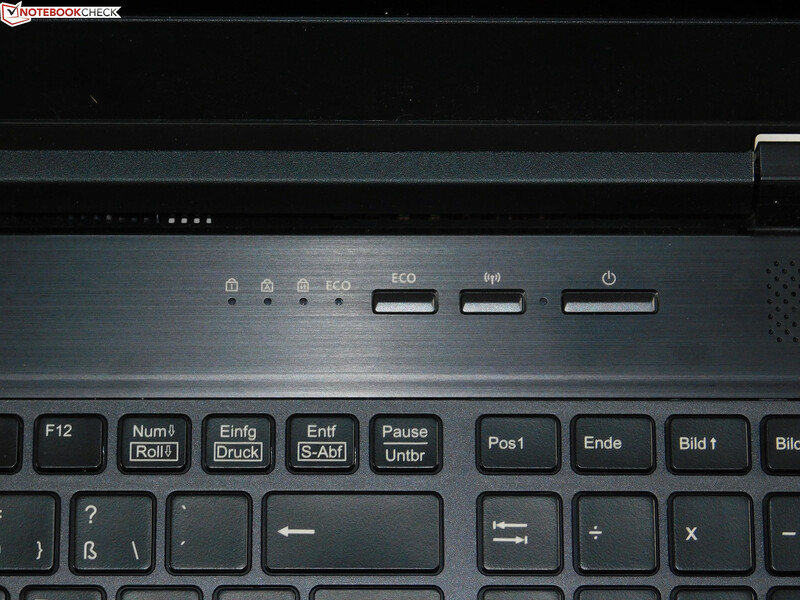 Similar to that, the Celsius H970 is also kept completely in black-gray, except for the small red stripe below the keyboard. It is not just in the coloring that the Celsius resembles the other Fujitsu notebooks; it is also similar in the design language as well, with flat angled surfaces on the sides towards the front. It is the same design, just bigger and thicker. The similarities continue in the selection of materials: a plastic base and a metal palm rest. This is made from brushed aluminum, a surface that quickly shows fingerprints. 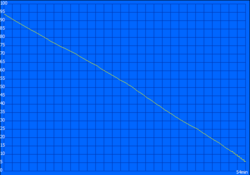 There is one difference, however: the display lid which is largely made from magnesium is split into two. The top is made from plastic, probably to let the signal of the WWAN antenna pass through. The high-quality materials provide a good stability. Probably there is another magnesium frame inside, since the base unit is very firm and can hardly be twisted. The lid is not quite as stable but still in a good range for a 17-inch device. Only when pressing extremely hard does pushing on the back of the display have an effect on the panel. However, the case is not without fault, since Fujitsu did not do a good job in one place: while the palm rest is firm, the keyboard is as flexible as a trampoline, especially in the area of the main keys. Even a gentle press on the keys will get the keyboard bouncing visibly. This is a cardinal mistake that should not happen in a device this expensive. Other than that, we could not complain about the workmanship, with the exception of the battery slot, since the battery does not fit 100%. When pressing on the battery, you can hear it creaking sometimes. 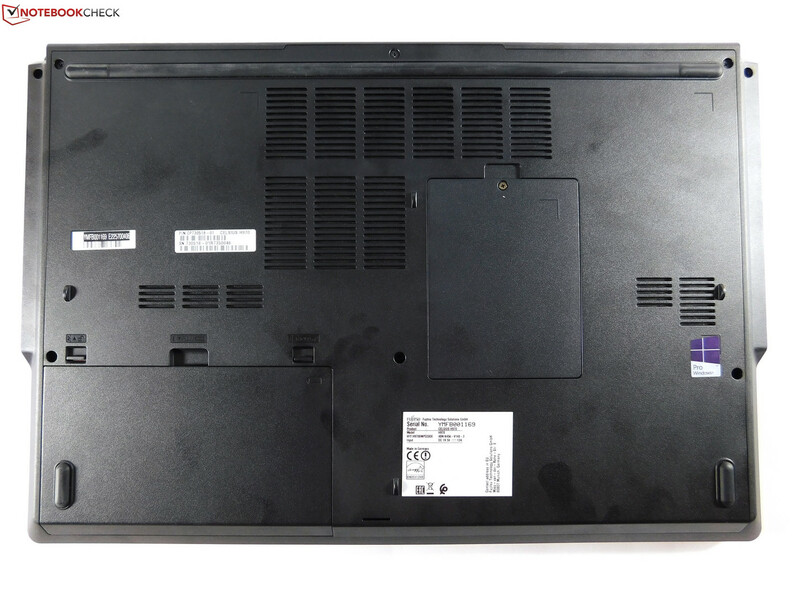 In a 17-inch laptop, the hinges have to hold up a display lid that is much heavier than in smaller laptops. The large hinges with their plastic caps, which in the Celsius sit on top of the base unit in the traditional way of construction, do a quite good job. Although the display bounces a little more than in smaller laptops, the hinges hold it up well. Thanks to the high weight of the base unit, you can open the display with one hand. In general, 17-inch workstations are the opposite of "thin and light." 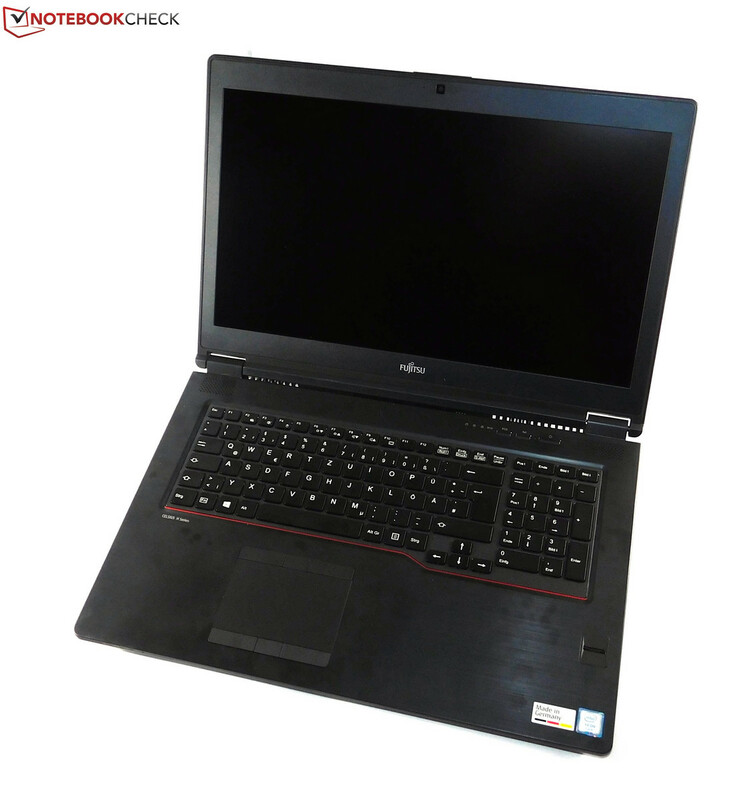 However, the Fujitsu Celsius H970 is comparatively thinner and lighter than the competition. Only the MSI WE72 is even slightly better here. The devices of the "Big Three" of the PC market, Dell, Lenovo, and HP, are 300 to 600 grams heavier (~0.66 - 1.32 lb). There are only very small differences in the width and depth of the cases. Workstations must always offer a rich collection of connections. What Fujitsu offers is not bad, but just three USB-3.0 connections are perhaps not enough. There are many 14-inch notebooks with three connections of that kind, and Fujitsu could have at least provided four in their largest workstation. 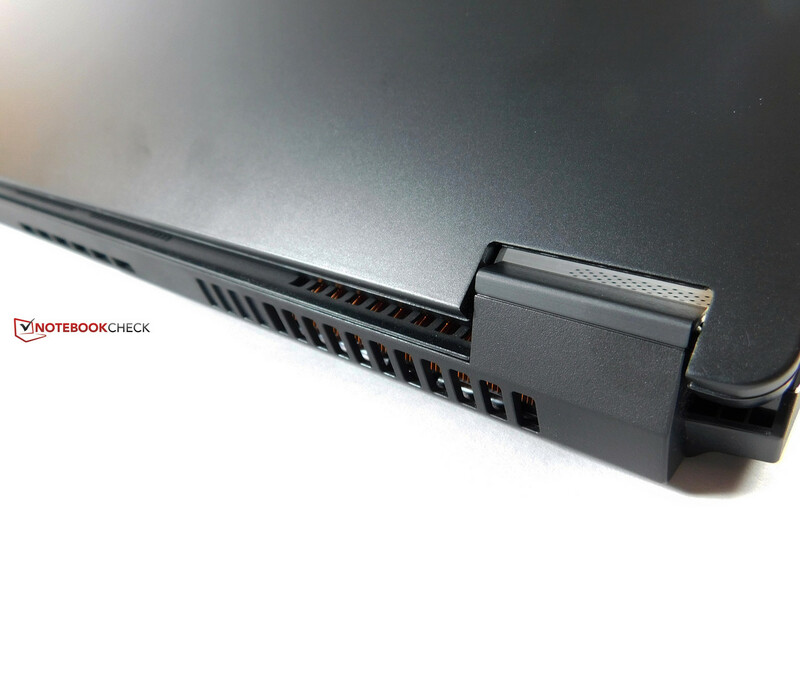 The direct competitors in the forms of the Dell Precision 7710, the HP ZBook 17 G3, and the Lenovo ThinkPad P71 all offer four USB Type-A connections. 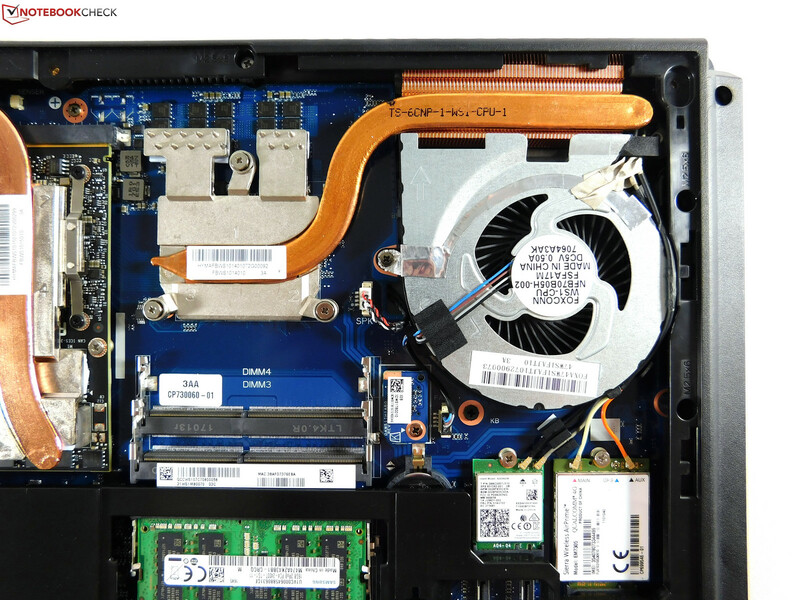 Only the ThinkPad P71 has an express-card slot, so that you can at least say for the Fujitsu that most of the other manufacturers do not provide that either. This goes for the DVD drive as well, even if there are still some users who need it from time to time. The connections are distributed quite evenly on both sides. There should not be any problem with the connections blocking each other, since they are far enough apart or you can use a different connector. There should also be no problems for mouse users, since all the connections are on the sides towards the back. Only the positioning of the Thunderbolt-3 connections that sit rather too much towards the front might possibly deserve some complaint. To connect a dock at that spot might be somewhat annoying. These connectors would be better placed further back or on the back of the device, which Fujitsu leaves empty besides the cooling. On the right side of the case is the SD-card reader. Although it takes full-size SD-cards, they cannot be inserted fully so the SD-card sticks out a bit. This is usually done for ultra-compact notebooks to save some space. It is not quite clear why Fujitsu uses this solution here, in a notebook that offers more than enough space. So this slot cannot really be used for a permanent storage extension, especially since the card is not locked into place but just sticks in the slot loosely. 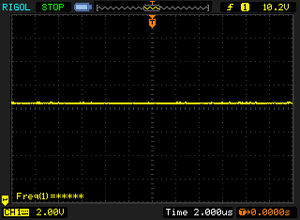 Even though the card reader is not the fastest, it is still faster than the card readers you find in cheap notebooks. In the benchmark that we run with the Toshiba Exceria Pro SDXC 64 GB UHS-II reference storage card, the card reader places in the middle of the field, while the competing devices are not provided with slow card readers either. Fujitsu builds-in the full package: WLAN, WWAN (Sierra Wireless EM7305), and Gigabit-Ethernet (Intel I219-LM). The WLAN module is the Intel Wireless 8265, Intel's standard solution for expensive laptops. The 8265 is a 2x2 card with WLAN-AC support. 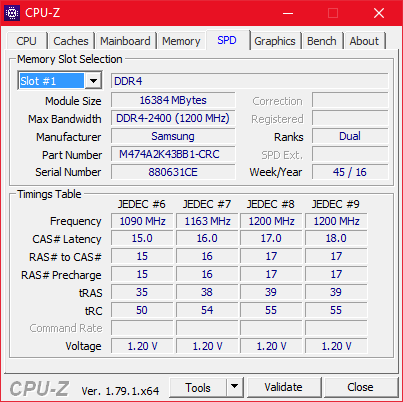 In our benchmark, the Celsius did well on average and clearly put the more affordable Intel 3168 in the MSI WE72 7RJ in its place. During everyday life, the card did not show any weaknesses. The two microphones and the 720p webcam are built into the display frame. These components offer a typical performance: just barely usable for video-conferencing, but otherwise simply very bad. As is customary for business devices, Fujitsu does not skimp on the security features. A Kensington lock, a smart-card reader, and of course a fingerprint-reader are built-in. This reader is a swipe reader, so you unlock the PC with a swipe gesture. This works well, but touch-based fingerprint-readers are still slightly more precise and faster. Besides these hardware features, there are also software security features such as TPM or anti-theft, which can be configured in the BIOS. The Celsius H970 has no notable included accessories besides a driver DVD and a recovery DVD, which nowadays cannot be taken for granted. The test unit has no mechanical docking port. Instead, you are supposed to use Thunderbolt docks, according to Fujitsu. However, you have to keep in mind that Thunderbolt 3 or USB C can only deliver a maximum of 100 W per USB power delivery, which is much too little for the Celsius. So you probably have to connect the separate power cable in addition to the Thunderbolt cable. Fujitsu promises easy maintainability in the specifications. This promise is definitely kept. In the Celsius H970, you can remove the battery without unscrewing the back of the notebook – long ago a standard, but now a rarity. After loosening one screw, you can take off a small maintenance flap to expand the RAM. This small maintenance flap sits inside a much larger maintenance flap that covers almost the whole bottom. Taking that off after removing merely six screws and small plastic clips, you have access to all the important components. Only the motherboard itself cannot be replaced in this way. Cleaning the fans is very easy, since they are immediately freely accessible and removable. You can also update the network cards and the M.2 SSD. The only weaknesses are the two free 2.5-inch slots. To use them, you need special cable connections which you probably have to order from Fujitsu as spare parts. 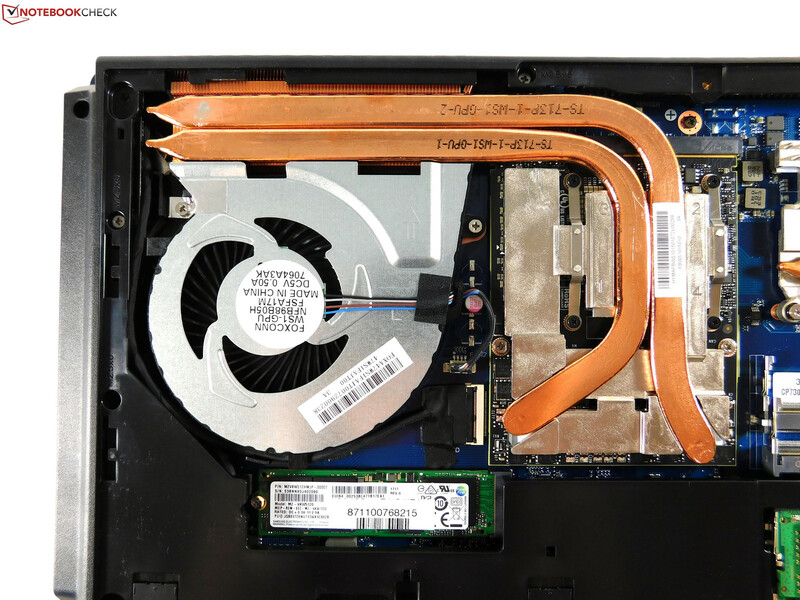 Otherwise, the maintainability is excellent and superior to that of the Lenovo ThinkPad P71, where the cooling system is very hard to reach. As it comes from the factory, the Celsius H970 has more than three years of warranty with bring-in or collect-&-return service. You can optionally add on-site service, where the technician repairs the device at the customer's home. The warranty can be extended up to a maximum of five years. Please see our Guarantees, Return policies and Warranties FAQ for country-specific information. 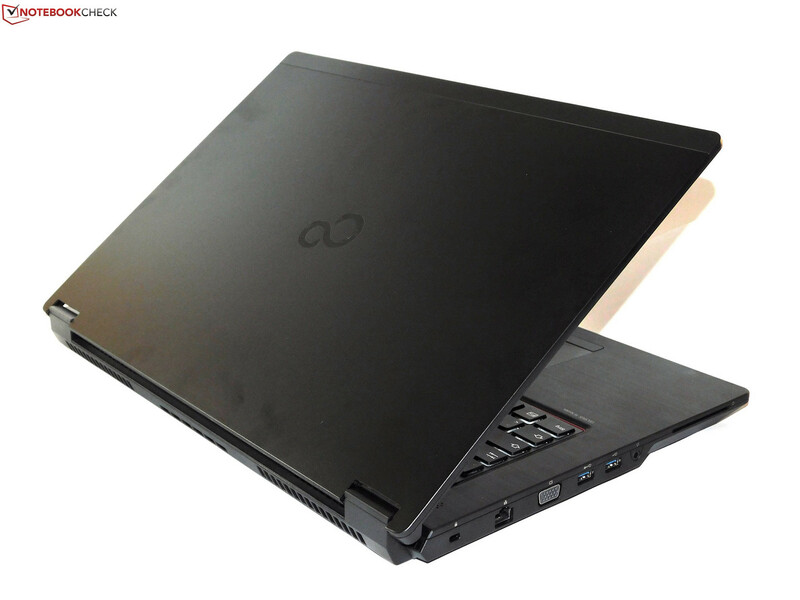 As you can expect from a 17-inch laptop, the H970 has a full-size keyboard with a number pad. All the keys are well proportioned, and there is nothing to complain about the layout. The tactile feel of the keyboard is a problem. It could have been quite good, since the keys have a comparatively long stroke and a sufficiently crisp pressure point. But the yielding keyboard frame destroys this potential, and typing on the Celsius H970 is no fun. Those who write a lot should bet on an external keyboard. This is a heavy blow for a notebook targeted for productivity. 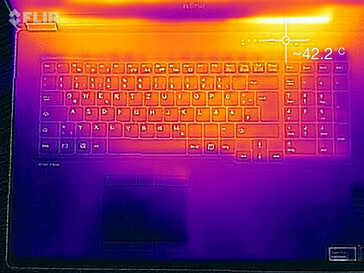 High-end notebooks almost always have a backlit keyboard, and the Celsius is no exception here. The backlight has two steps. The keys have a smooth surface. 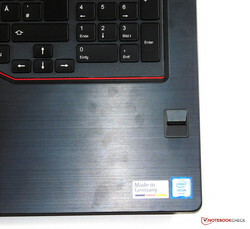 If you see the touchpad of the Celsius H970, the first question is why the touchpad has two sets of dedicated keys. There are three mouse keys below, as well as above the touch surface. The answer is hidden in the specifications: Optionally, the H970 is also available with a TouchStick pointer, which is missing in our model, though. For this reason, the device has two sets of mouse keys, which also has a drawback, however, since it leaves the touchpad rather too small for a notebook of this size. 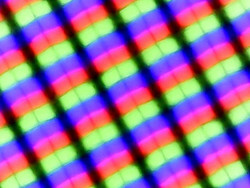 The touch surface measures only 9.5 x 6 cm (~3.7 x 2.4 in). The touchpad technology and the driver come from ELAN, and Fujitsu dispenses with an implementation of the touchpad according to Microsoft's Precision standard. This has the advantage that the touchpad offers extensive adjustment options; however, it is not as precise as a touchpad according to the Precision standard. In particular, the multi-touch gestures such as zoom can be very jittery. The six dedicated mouse keys do not look cheap. They all click evenly and feel very similar. Their noise is a small negative point. There are mouse keys that "click" much more discreetly. There is merely a single display option for the Fujitsu Celsius H970: a 17.3-inch, matte Full HD (1920x1080) display based on IPS technology. This is a little weak for 2017. 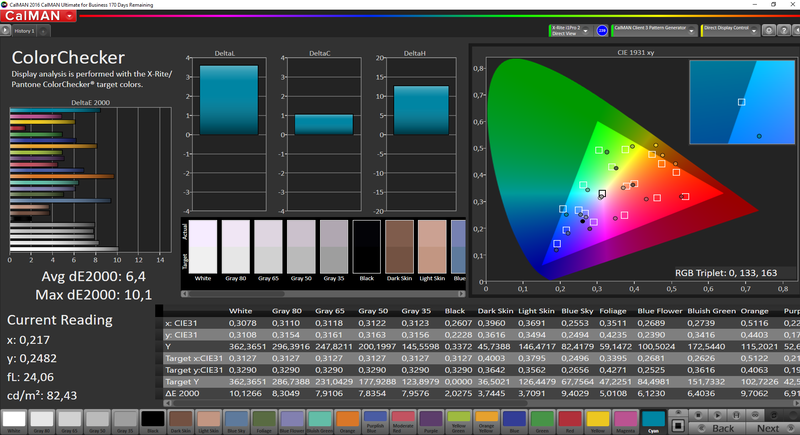 There have been 4K-IPS displays (3840x2160) for 17-inch workstations available since last year. If you choose the Fujitsu Celsius H970, you have to do without a high-resolution display. Thus it would be even more important that the single available display option is compelling. First, regarding the brightness Fujitsu speaks about 300 cd/m². Our test unit is equipped with an LG display with the model number LP173WF4-SPF3 which can on average clearly surpass that brightness value. 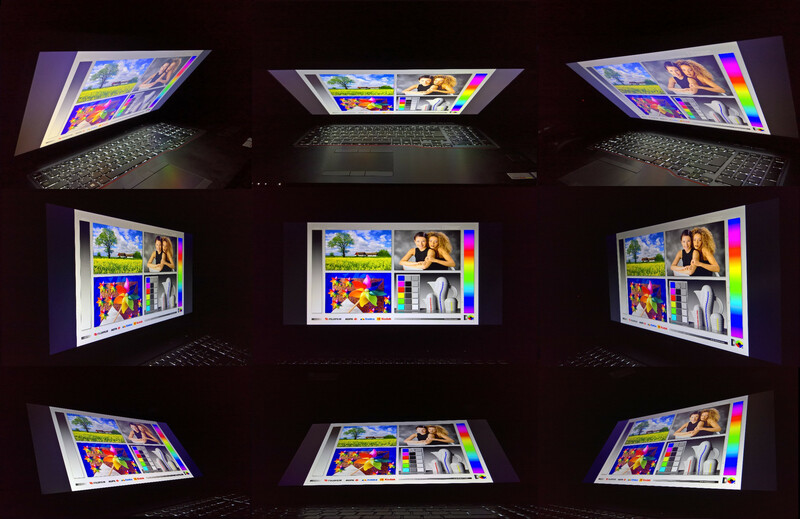 At an average of 360 cd/m², it is even the brightest display in our comparison. 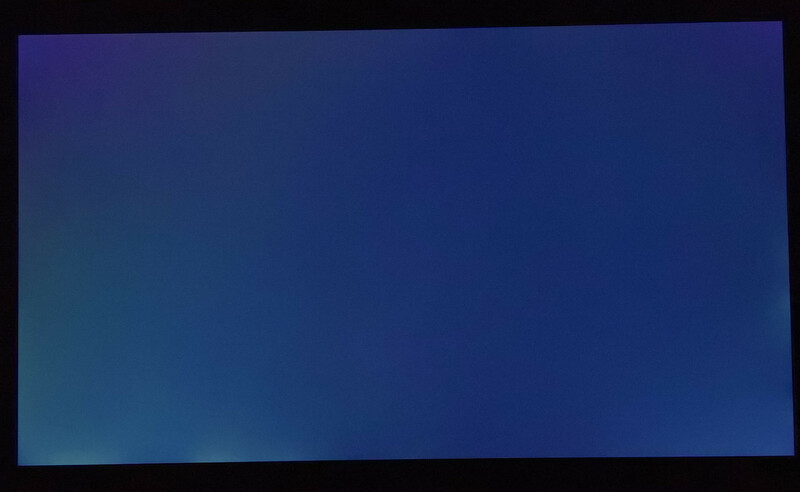 The brightness distribution of 91% is very even, and this display has only very slight backlight-bleeding. Fortunately, there is no PWM. The very good brightness values are complemented fittingly by the low black value of 0.3 and thus the high contrast of 1127:1. The image makes a good impression with blacks and colors not having a gray veil. The display sharpness is merely okay, since Full HD on a 17.3-inch screen gives less resolution compared to smaller sizes. 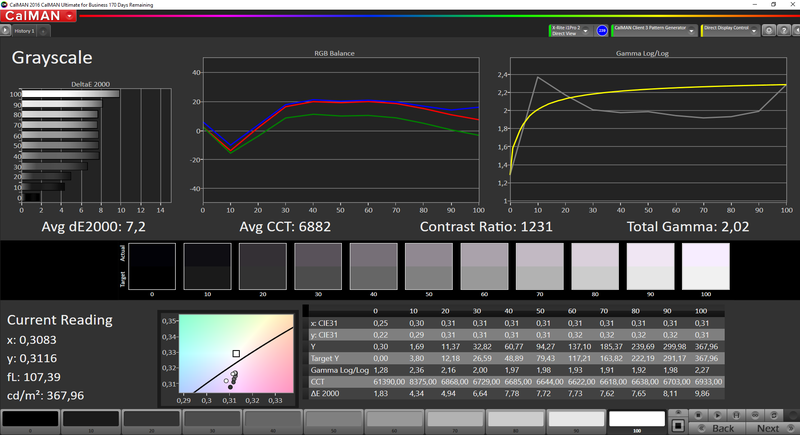 In the state of delivery, there are some deviations in the color accuracy, so a display calibration is recommended. 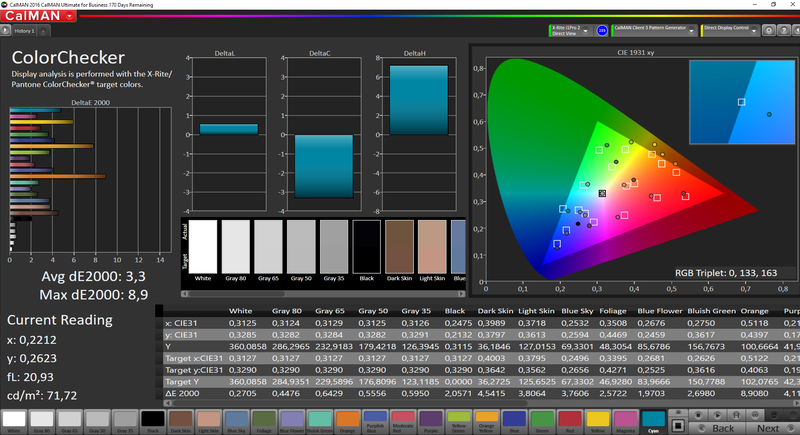 If you don't have your own calibration device, we recommend using the color profile provided by Notebookcheck, which is provided for free as usual. 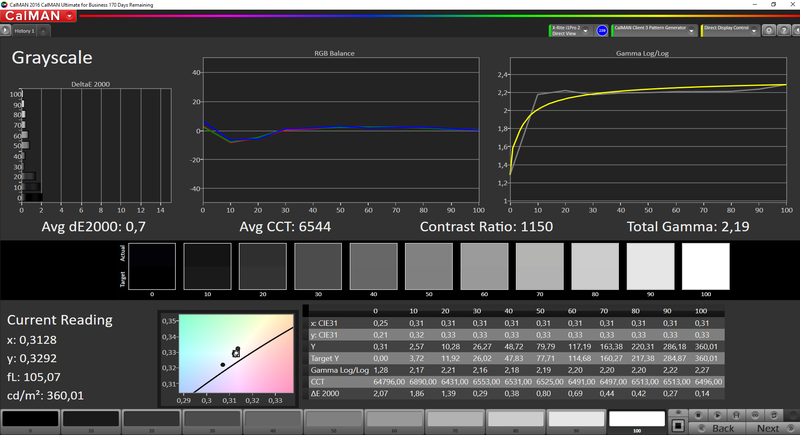 The color-space coverage is quite disappointing, although 84% of the sRGB color space and 55% of the Adobe-RGB color space would be okay for a regular notebook in principle, even if you really need 100% sRGB for image-processing. But there are different standards for a workstation, and the other manufacturers offer devices with high-gamut displays with high color-space coverage. 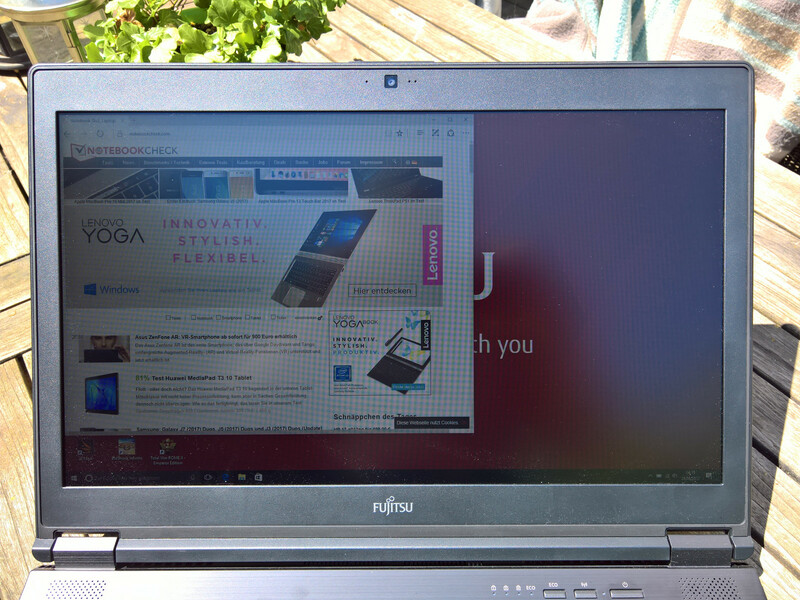 It is unfortunate that Fujitsu does not even offer the option of a display with higher color-space coverage in such an expensive device. The matte surface combined with the brightness of above 350 cd/m² make the Celsius H970 quite suitable for the outdoors. The device can even be used relatively well in indirect sunlight. Even though looking at its sheer size, the times when you can use the laptop outdoors might be rather rare, of course it is always good to have at least the option. 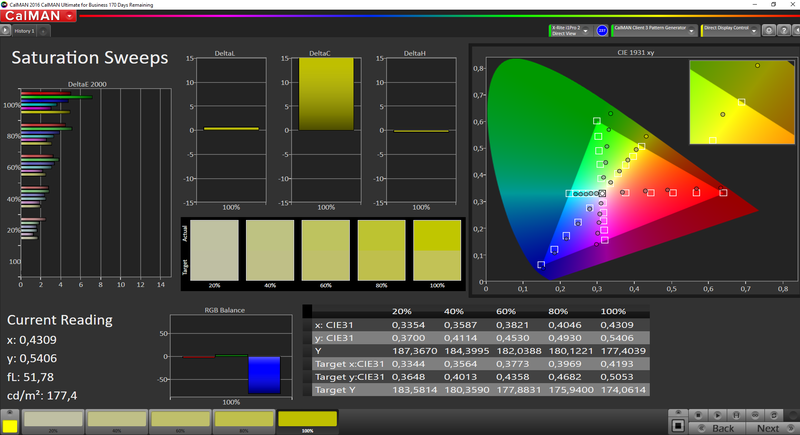 IPS displays are known for their colors not changing even from extreme viewing angles. The AH-IPS display in the Fujitsu Celsius has this characteristic as well, although the brightness and also color temperature do change if you look at the display from the top off to the sides. For everyday life, this makes not much of a difference, and the display is very usable. The three different display outputs all offer a sharp image without anything standing out negatively. In the specifications sheet for the H970, Fujitsu lists four different base models that mainly differ in the CPU used. All the other details are the same or configurable. The four different Intel processors are the Intel Core i5-6440HQ, the Core i7-7820HQ, the Xeon E3-1505M V6, and the Xeon E3-1535M V6. For the GPUs, the Quadro P3000, P4000, and P5000 can be selected. There are three different models in Germany. Only the Core i7-7820HQ and the Xeon E3-1535M V6 which is used by our test unit are available, and as the GPUs, there are only the P3000 and the P4000. The most affordable model starts at 3400 Euros (~$3965) in the market, and our model which costs at least 4500 Euros (~$5248) is the top model. 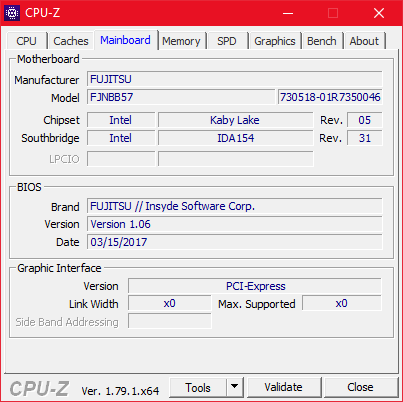 Fujitsu builds-in 16 or 32 GB of DDR4-2400 RAM, and our model has 32 GB. Two storage slots are occupied and two are empty, so the memory can be expanded up to a maximum of 64 GB. 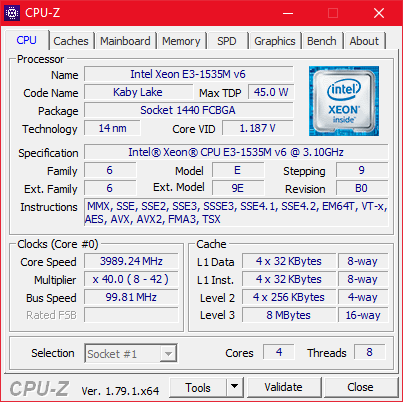 The Intel Xeon E3-1535M V6 in our test unit makes its debut here at Notebookcheck, and this is the first time that we have this CPU in our test. 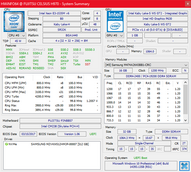 The Xeon E3-1535M V6 is the fastest mobile CPU that Intel is currently offering. 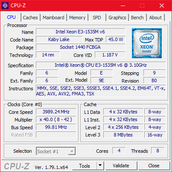 Like the processors of the Intel-Core-i7-7xxxHQ series on which the Xeon E3-1535M V6 is based, it has four cores (eight threads with Hyper-Threading) which have a base clock speed of 3.1 GHz and reach a maximum of 4.2 GHz with Turbo boost (in single-core mode). 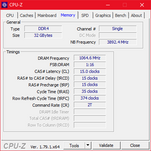 A particularity of the Xeon CPUs is furthermore that they are compatible with ECC RAM. 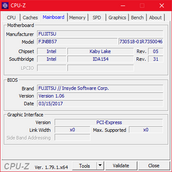 More information on this and other CPUs is available in the CPU benchmark section. So much for the theory. In practice, the achieved Gigahertz value depends to a large extent on the cooling of the notebook. 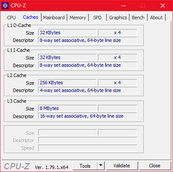 First we take look at our CPU load test that we perform with Cinebench R15 64-bit in multi-core mode. This test simulates whether the CPU can maintain its speed constantly also over longer time periods and thus whether a reliable performance is offered. With the Fujitsu Celsius H970, this is clearly not the case. There is almost no benchmark run where it achieves the result of the previous run, but the performance varies widely from one test to another. In the single test, the Celsius confirms the bad CPU performance: even though as mentioned we have the nominally strongest mobile Kaby-Lake CPU here, the Celsius H970 takes the last place in the more relevant multi-core test. Only in the single-core test does it go ahead. Its own E3-1535M V5 CPU predecessor is 10% faster in the multi-core performance. 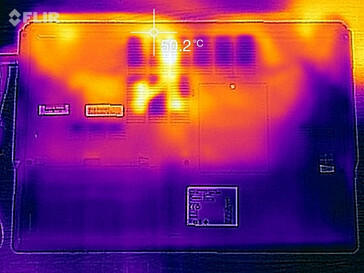 The reason for this bad performance lies in the cooling system of the Celsius. The CPU is cooled by the considerably smaller fan of the two, and the CPU cooling unit only has a relatively short copper heat-pipe. This cooling system is not adequate for the CPU at all, since there is thermal-throttling already in the Cinebench multi-core test. The CPU runs for a few seconds at its maximum speed and then heats up to 97 °C (~207 °F). Immediately, throttling begins, and the CPU runs only at 800 MHz. Only one or two seconds later it runs again at 3.1 GHz, its basic clock speed, only to heat up to 97 °C again. During the Cinebench tests, the whole thing repeats several times, so that the performance of the CPU is strongly reduced. During the 30-minute loop test, the CPU reached a maximum of 99 °C and so almost reached the T-junction point. At least the performance is not further throttled during battery operation. As expected with these powerful components, the system performance is excellent, in the PCMark benchmarks as well as during everyday life. The Fujitsu Celsius H970 offers three slots for internal storage media, two 2.5-inch slots and one M.2 slot. In our test unit, only the M.2 slot is occupied and the 2.5-inch slots are empty. 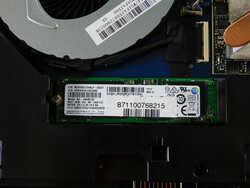 The 2280-M.2 slot is occupied by a PCIe-NVMe SSD by Samsung, or to be more exact, Fujitsu built-in the SM961 with 512 GB. This is a Samsung-PCIe SSD of the newest generation for OEMs. The Samsung-OEM SSDs with the "SM" model names are supposed to be faster than the widely used "PM" SSDs, so Fujitsu is using the fastest and newest. 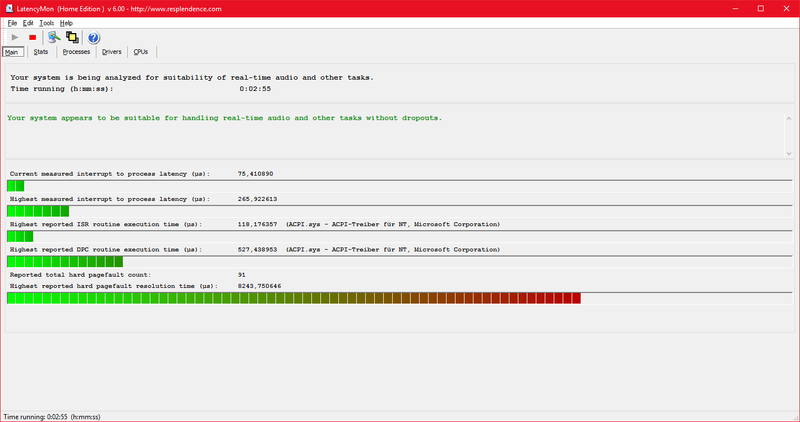 Accordingly, the SSD does very well in the benchmarks, but the SM951 predecessor SSD is not really much slower. You can compare it with other SSDs in our SSD/HDD benchmark tool. 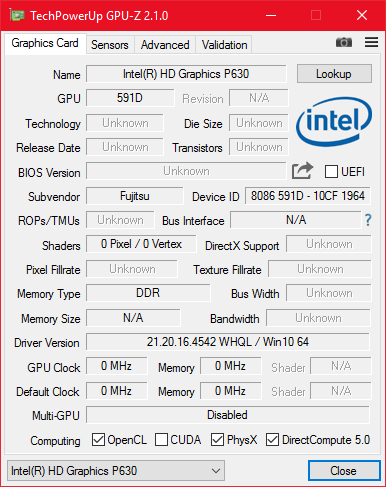 As well as the CPU being a first for Notebookcheck, we have not been able to test the GPU before, either. The Quadro P4000 by Nvidia is a professional graphics solution for mobile workstations based on the newest Pascal GPU generation, which can be recognized by the "P" in the model number. With 1792 shader cores, it is a very powerful graphics card, which currently has no GeForce equivalent, however. If there was a matching GeForce GPU, it would be a hypothetical GeForce 1065, since the Quadro P3000 is based on the GeForce 1060 and the Quadro P5000 on the GeForce 1070. 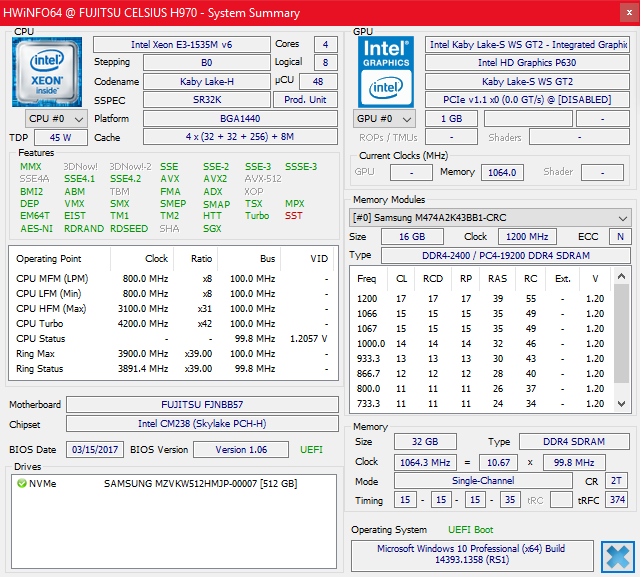 The Celsius H970 is equipped with the P4000 variant with 8 GB GDD5 memory. 16 GB is the maximum. 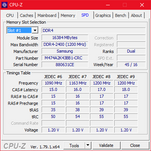 Its core speed is 1252 MHz. You can see in the picture on the right that the GPU has a much more powerful cooling system than the main processor. In view of the P4000's TDP of slightly above 70 W, this cooling system is desperately needed. The GPU is also built-into the H970 in form of an MXM mode. Whether you can build-in other MXM GPUs here, is unknown. 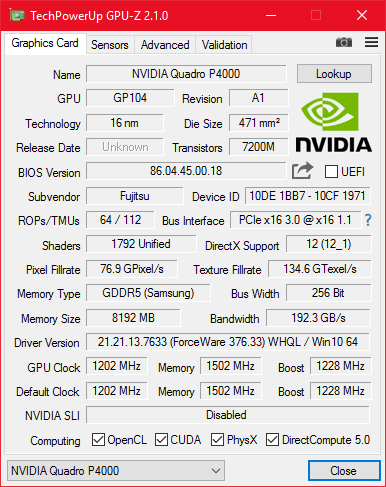 The Quadro P4000 is a very powerful graphics chip that can easily surpass the originally strongest Maxwell-based M5000M Quatro GPU, especially in the GPU-intensive benchmarks. Its own predecessor, the M4000M, is 50 to 60% slower depending on the benchmarks, which also shows the superiority of the Pascal architecture. The next-smaller Quadro, the P3000, is more or less clearly weaker depending on the benchmark. For example, in the LuxMark benchmark, the difference is only 1 to 5%, in 3DMark11, 28 %, and in the SPECPerfView12 benchmark 8 to 26% depending on the test. You can find further benchmark results of the P4000 and the opportunity to compare it with other GPUs in our GPU benchmark section. As for the CPU, there is also no noticeable reduction in performance during battery mode. It is probably not a good idea to buy a 4500-Euro (~$5248) workstation for gaming. However, to judge the graphics performance, games naturally offer a very important benchmark. Although the P4000 is not optimized for games but for CAD software, it is excellently suitable for games. All the tested games can be played with maximum details. If our test unit had a 4K display, the games could probably also be played in 4K resolution. This also fits with Nvidia calling the Quadro P4000 "VR ready." Unfortunately, we cannot offer a comparison with the Quadro P5000, since we have not been able to test this GPU, but the GeForce GTX 1070 is about 30% faster in Rise of the Tomb Raider. The P5000 should be about as fast as the GeForce 1070. As we have already seen in the section on the CPU performance, the cooling system of the Celsius H970 is not quite matured. This can also be noticed in the noise volume. The device should really be mostly silent, since the Nvidia GPU is deactivated in everyday life thanks to Optimus, and there is no HDD. However, the fan already starts at about 40 dB(a) even with a low load, which can be attributed to the bad CPU cooling system. 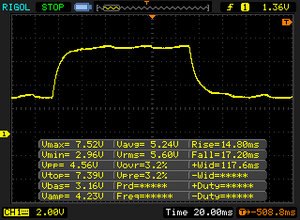 Under full load, the noise produced by the Celsius H970 is quite earsplitting. We did not notice other disturbing noises during the test. Due to the spacious, thick case, the outer temperatures are not much of a problem despite the weak CPU cooling. Under load, we measure almost 50 °C (122 °F) at one hot spot at the bottom, which is not quite within the completely critical range yet. Also, the opportunities where you use the device on your lap should be limited, since the device is too big and cumbersome for that. A cool palm rest should be more important, and fortunately that hardly gets warm even under load. A spacious case does not help much with the inside temperatures. After the Cinebench test result, we did not expect anything good in the stress test with Prime95 and FurMark. 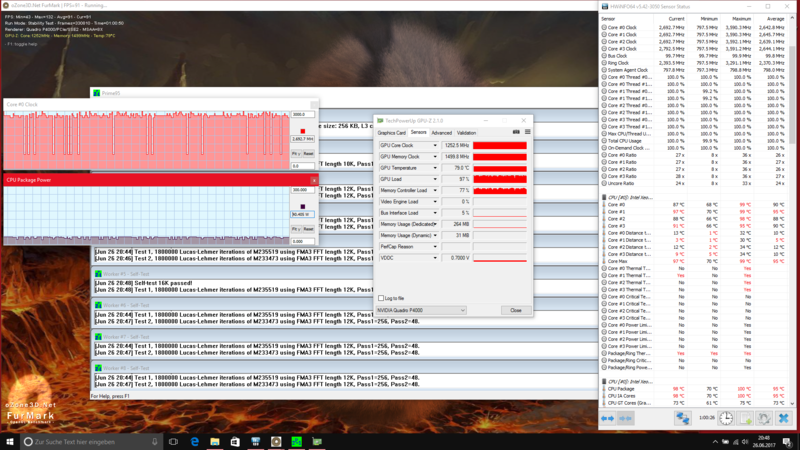 But surprisingly, the Celsius behaved similar to the Cinebench test where only the CPU was stressed. The reason for this is that the GPU cooling works well. 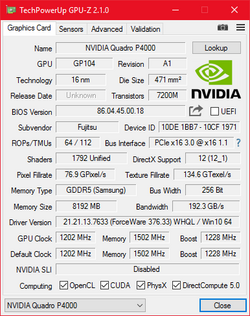 During the stress test, the Quadro P4000 remains at about 80 °C (176 °F), and the maximum speed of 1252 MHz is maintained. The only problem is really the CPU which acts the same as in the Cinebench test: It heats up to 97 - 99 °C (207 - 210 °F, at a clock speed of 2.7 GHz, which is below the base clock speed), then thermal-throttling down to 800 MHz begins and the CPU cools briefly, before it heats up again to 97 - 99 °C. As usual, we ran 3DMark 11 right after the stress test. This benchmark achieved a normal result. The stereo speakers are on top, above the keyboard. This position has an advantage, since the speakers deliver the same sound regardless of the surface the laptop stands on. The sound produced by the speakers is not particularly good: very little bass, not very loud, and overall just not a good sound - words that can be said about many notebooks and are also accurate for the Celsius H970. As always, you can get a clearly better sound by connecting external speakers or headphones to the 3.5 mm combo-audio port. Of course it is not the most important point for a workstation that the power consumption is as low as possible, but it is still not insignificant, since a mobile workstation should also be usable in a mobile fashion. Here the H970 does about as well as the other workstations. The lowest idle power consumption is a bit high, but the maximum idle consumption is rather low. 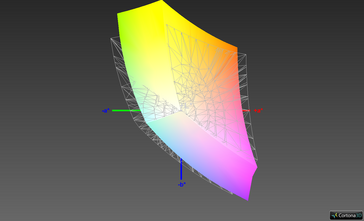 It is an advantage here that the display only has 1920x1080 pixels, and not 3840x2160 pixels. 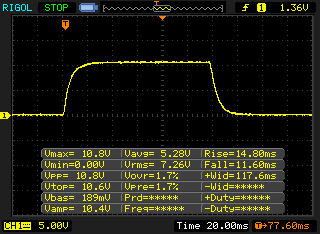 The power supply delivers 250 W and is sized more than sufficiently with that. Fujitsu provides a removable lithium-ion battery that holds 96 Wh. Since it is removable, it offers the option to take an additional fully-charged battery with you to double the runtime. Devices with built-in batteries cannot offer this, so the ZBook 15 G3 has a disadvantage here. 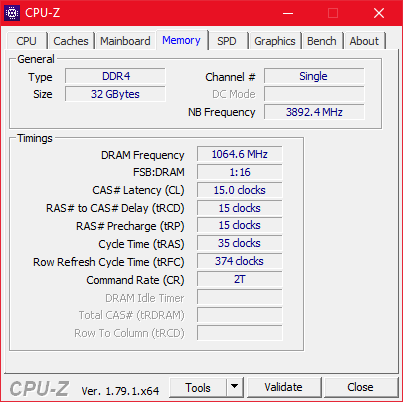 For most users the runtimes that are offered with its battery by the Celsius should be sufficient: Nine hours in the WLAN test is quite good for a workstation with such powerful components, and the competition cannot even begin to reach that runtime of the H970. Only the battery performance under load is not quite as strong, with this being the more relevant test. The battery life test with Specviewperf 12 in a loop confirms the results of the load test with about 60 minutes of runtime. We run this additional test, since the Celsius is a workstation. After a little more than two hours, the battery of the Celsius is fully recharged. While this is a rather good value for a 96-Wh battery, it is not outstanding. It is not easy to service the market for workstations. There are only a few manufacturers with sufficient experience and reputation to play in this "royal" class of notebooks. Fujitsu wants to be one of these manufacturers - at least for now. 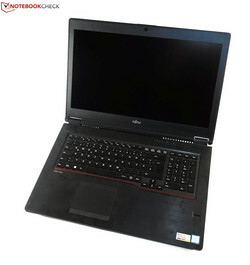 However, the Fujitsu Celsius H970 cannot convince us. Fujitsu delivers a mobile workstation that is surprisingly good in some areas but just too weak in others. The good areas surely include the battery life, which is more than decent for a workstation notebook. It shows here, that with the new, more efficient CPU generations, quad-core processors do not have to necessarily be a reason for bad battery life. The display brightness is also compelling, and as in the battery life, the Celsius is best in class here. The GPU performance is top class, which is due to the effective GPU-cooling system. Finally, we surely need to mention the excellent maintainability as one of the advantages of the Celsius. It is only slightly marred by the fact that you need special cables to insert 2.5-inch drives. Battery life and display brightness - are those the most important values for a laptop that you will probably only move from one stationary work space to another, due to its size and weight? Probably not! Unfortunately, the Fujitsu fails in more important places, such as the CPU-cooling system. 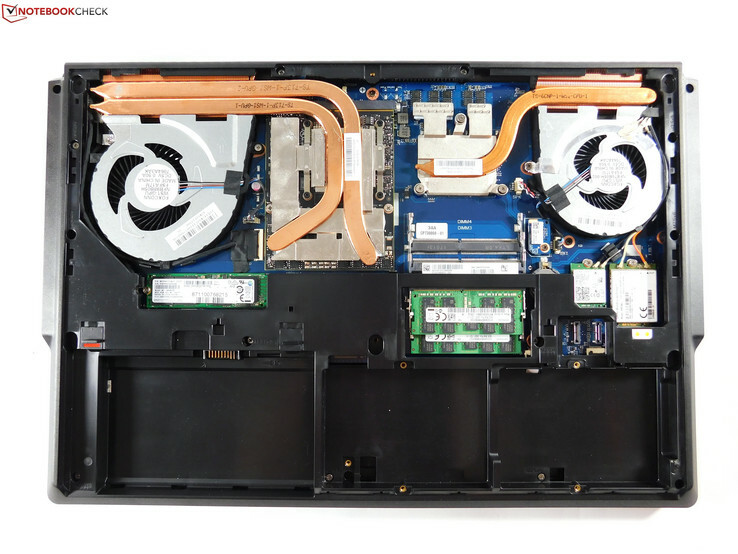 Where the GPU-cooling system succeeds, the CPU-cooling system fails. It is simply too small. This makes the device very loud, since the fan has to run a lot to cool the CPU at all. Yet despite that, thermal-throttling cannot be avoided. 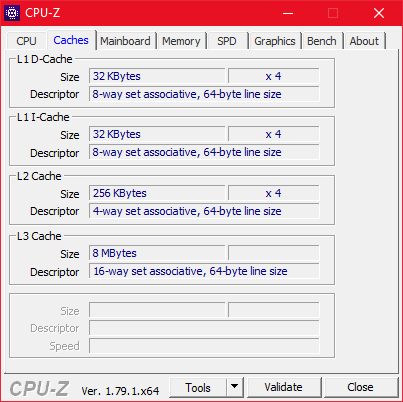 This already occurs in the Cinebench test which does not even provide a lot of load, so that in everyday life, the Celsius is far from able to make use of the full potential of the built-in CPU. In this way, the expensive Xeon E3-1535M V6, which is really the fastest mobile Kaby-Lake CPU, becomes the slowest chip in our comparison. As if this was not bad enough, Fujitsu makes a further big mistake with the bouncing keyboard. Even though the display is bright, the colors are not particularly strong and it does not even cover the sRGB color space. 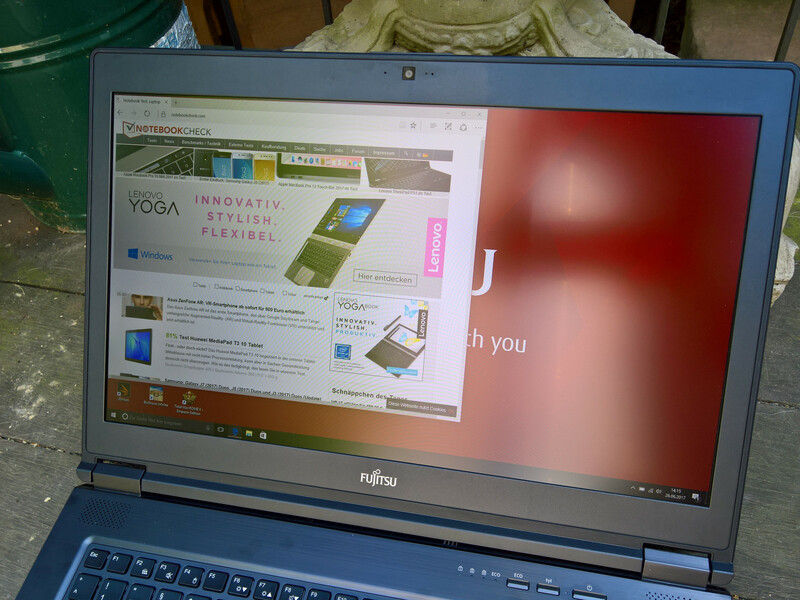 Fujitsu does not offer a display with a higher resolution and color-space coverage. 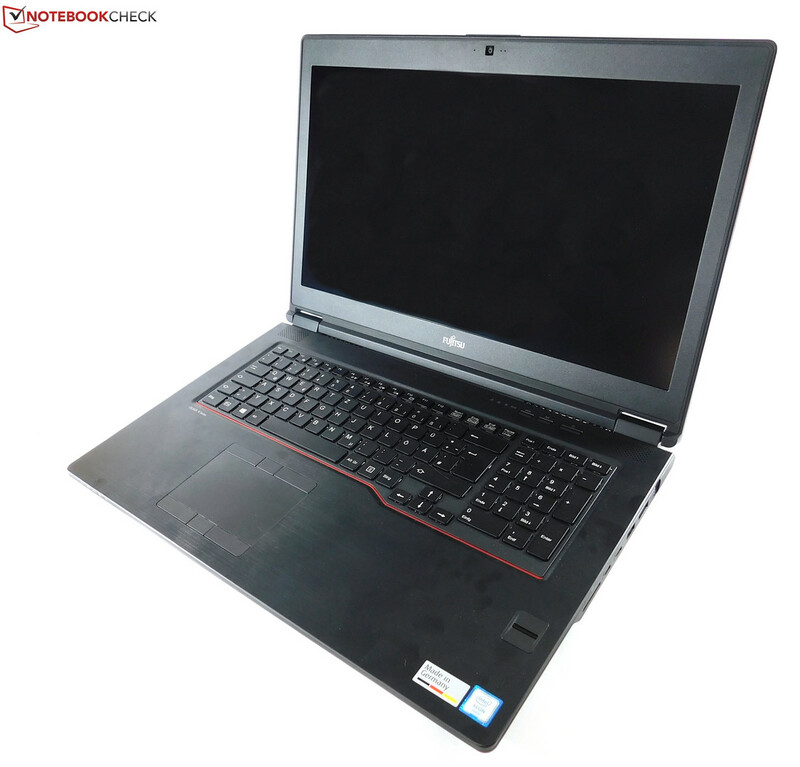 Not passing: While Fujitsu's Celsius H970 has its qualities, in particular the deficient CPU-cooling system is out of place in a mobile workstation. Due to these problems, the Celsius has a hard time against the established competition such as the ThinkPad P71, ZBook 17 G3, or Precision 7710. That it still suffices for a good evaluation is mainly due to the high performance of the new professional graphics card.